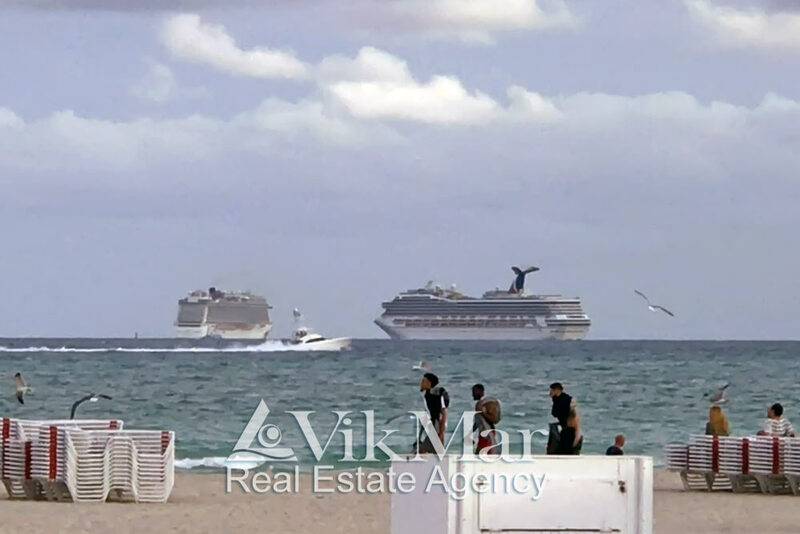 Miami is one of the most world-famous center of international Sea-tourism because of its attractive geo-location on the south-eastern coast of the United States if to compare to the largest cruise ports in Florida and two Intracoastal Waterway. The Atlantic and Mexican Intracoastal Waterway, both connecting on the south of Florida’s peninsula in the ocean, form together a system of natural and artificial waterways for river and sea vessels which run along the eastern and southern coasts of the United States. The construction of this world’s largest system of nautical canals, with a total length of 4,800 kilometers, was started in 1909 after the publication of the ‘Rivers and Harbors Act’, and carried out for several decades. The cruise passenger Port of Miami is the biggest in the world. In 2017, its total passenger traffic was 5.3 million holidaymakers and tourists, which is currently the highest number in the world. The Port of Miami was visited by 34 cruise liners in 2017, while cruising along 12 sea routes laid along the most magnificent archipelagos and water areas of the world. The closest to the Port of Miami cruise passenger port is Port Everglades, located just 35 km or 20 nautical miles away. In 2017, 38 passenger ships left the Port Everglades for cruising on 11 routes. Quite interesting is the fact that ‘Everglades’ is the only one passenger port in the USA where the program ‘Mobile Passport Control’ operates. In particular, it allows to use personal smartphones for remote filling out a personal customs declaration, which significantly speeds up the registration process for dozens of thousands of passengers, traveling on super-cruise liners. An innovation technology ‘Ocean Medallion‘ also deserves for special attention, and Carnival Corp. was the first company to use it on the largest cruise ships. It scientifically improves the information delivery and a personal access to all complex of the services on cruise ships, as well as makes easier the communication with the ship-crew members during all the cruising time on a passenger ship. According to the information from American ‘Tampa Bay Business Journal‘, the state and international private funds plan to invest about $3.7 billion in the development of the port infrastructure of the State of Florida, in the short term. Miami is the leader of introducing innovations in digital technologies, as well as developing new projects for building comfortable housing, hotels and the sea-terminals for welcoming and servicing passengers, cruising on the world’s largest ships.